dMAC provies a free service to review your claims before submission to the insurer, if required. Also because dMAC sell a lot of insurance product we have considerable influence with insurers. This is important should you have any problem with your claims. PT Daya MACro Dinamika is an Insurance Intermediary Consultant. We design insurance products specially for you and your employees, including; ♦ Health ♦Personal Accident ♦ Term Life ♦Professional Indemnity ♦Directors & Officers Liability ♦ Public Liability ♦Property All Risks ♦ Motor Vehicle ♦Travel ♦ Contractors All Risk ♦House & Contents and other General Insurance products - at no cost to you. Living in tropical regions place people at more risk than in temperate zones. Shinta DS MacDonald SE As, Bachelor of Economics (Trisakti Uni); MM, Magister [Latin for 'Master'] of Management (University of Indonesia); MBA (Universite Grenoble Alpes); AAAK; is our Executive Director, and during the past 19 years has led our Marketing team, as well as the Design and Development of new products with Indonesian and J.V. Insurance companies. Shinta also coordinates our socialisation program for our dMAC clients and their employees. Shinta is a former Board Member of the IABC (Indonesia Australia Business Council). Silvi Salavia (Pepi) SSi (UI) is our Director. Pepi very effectively runs our office, assisted by the enthusiastic dMAC Team, led by; Michaila Shahnez Natasha (Inez) S.Hum (UI), and Ashila Aprilia Fajar (Ashila), S.Hum (UI). Duncan MacDonald ANZIIF; MBA (Bond); our Technical Advisor has worked in Indonesia for 27 years - the last 24 years with dMAC Group in Asia, which he founded, developing Health and other General Insurance products, and editing our dMAC Digest. Duncan spent 7 years as Accountant for Byrne & Davidson [Mfg] Pty Ltd (B&D Roll-A-Door) in Sydney. He moved to London for 5 years where he was apointed Director of 3 English engineering firms Doormaster Ltd, The Titan Lift Co Ltd and Rangebest Ltd, marketing their products in Britain and the Middle East. Duncan then relocated to Sydney and spent 9 years with International law firm Freehill Hollingdale & Page, the last 3 years as Director of Finance, South East Asia. Duncan incorporated the dMAC Group in Jakarta in 1993, designing insurance products for local and overseas insurers. He is also our Webmaster and has published 15 health and historical e-books. 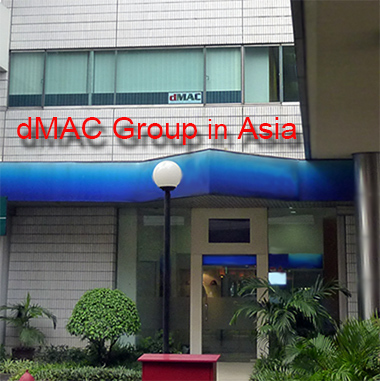 dMAC Group in Asia comprises a number of privately held companies, located in Jakarta, Indonesia.